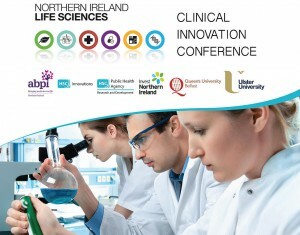 The Clinical Innovation Collaborative, which comprises the organisations listed below, is holding its 3rd conference which aims to build relationships between Northern Ireland clinical researchers and the pharmaceutical industry with a view to increasing collaborative research and adoption of innovation. Using a cross-sector approach with the needs of patients at the centre of the plans, the event is aimed at enhancing Northern Ireland’s ability to attract, foster and implement clinical innovation. The Conference aims to enhance Northern Ireland’s ability to attract, foster and implement clinical innovation by showcasing indigenous clinical research excellence to potential global partners. This year’s theme is Precision Medicine, which is revolutionising healthcare by harnessing technology, genomics and diagnostics to deliver a more targeted and efficient way of matching patients with the treatments that will be most effective for them. Northern Ireland is already building world class capability across the precision medicine spectrum in academia, business and clinical care. The Conference seeks to build further relationships with global partners to maximise the impact of this capability on a world stage. The Conference will build on the previous two successful annual events, attended by thirty global pharmaceutical companies and resulting in twenty new research collaborations which have already brought significant health and economic benefits to Northern Ireland. Further details, including confirmed speakers and registration details are available at the conference website.